Paper size: 76 x 51 cm. / 30 x 20 in. 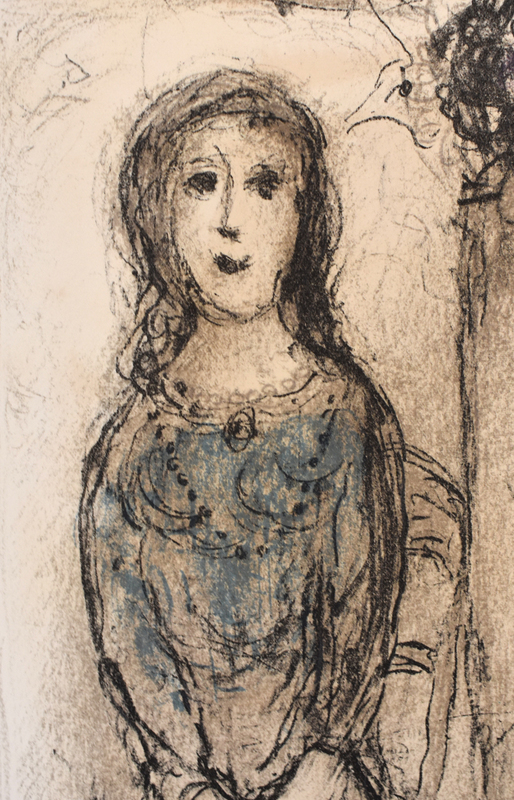 Image size: 57 x 38 cm. / 22.4 x 15 in. 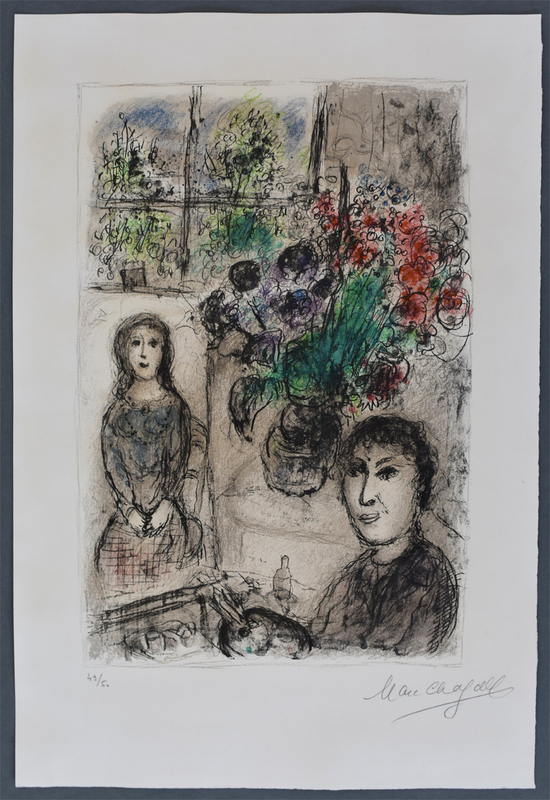 Additional Information: This original lithograph in colours is hand signed in pencil by the artist “Marc Chagall” at the lower right margin. 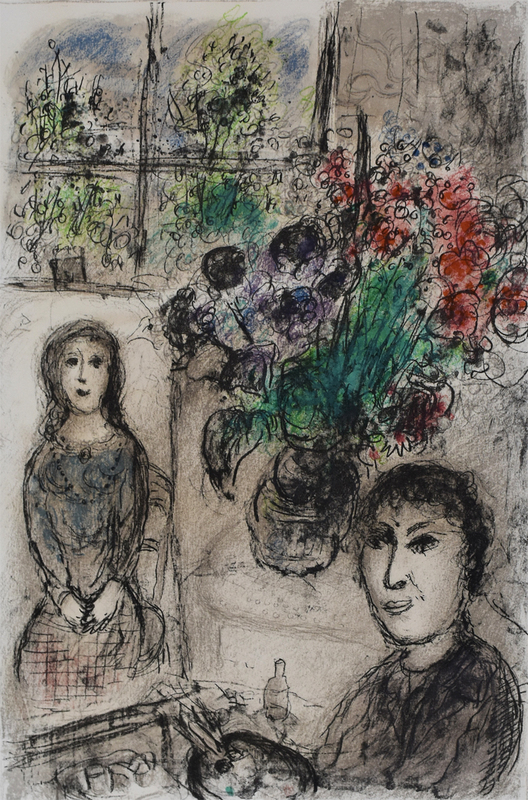 This work was printed in 1976 in a limited edition of 50 signed and numbered impressions by Fernand Mourlot, Paris. The paper bears the Arches watermark along the right sheet edge. Friedrich Wilhelm Waffenschmidt (1925-2017) was a successful entrepreneur who founded the well-established electronics companies Saturn and MediaMarkt. Literature: Mourlot, F., & Sorlier, C., (1984). 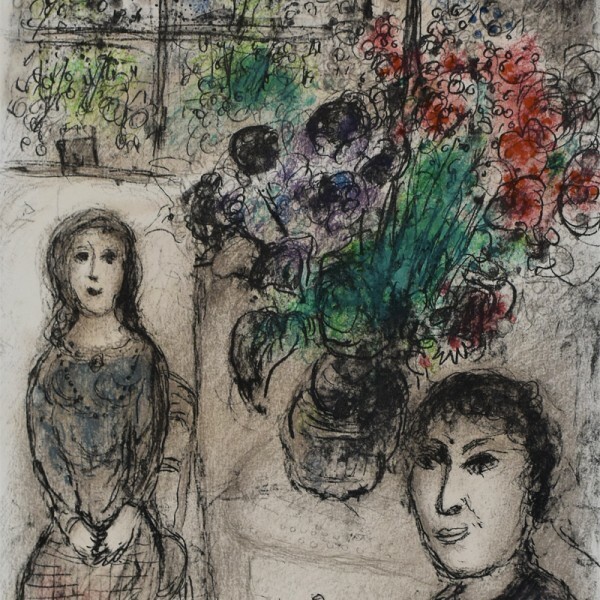 Chagall: The Lithographs V: 1974-1979(Catalogue Raisonné). D.A.P./Distributed Art Publishers, Inc.